We spare no expense to bring you the best. 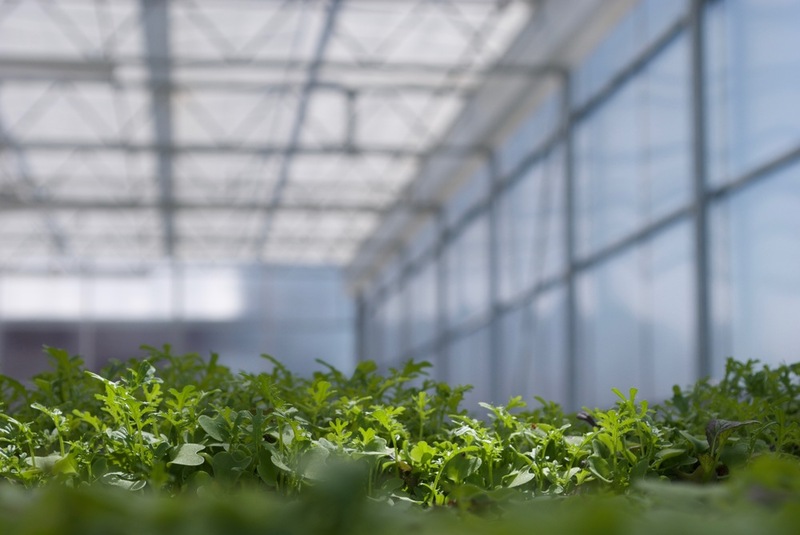 Our technologically advanced greenhouse allows us to grow a wide variety of leafy greens year-round, no matter the weather. No pesticides. No herbicides. No problems. Our little giants. 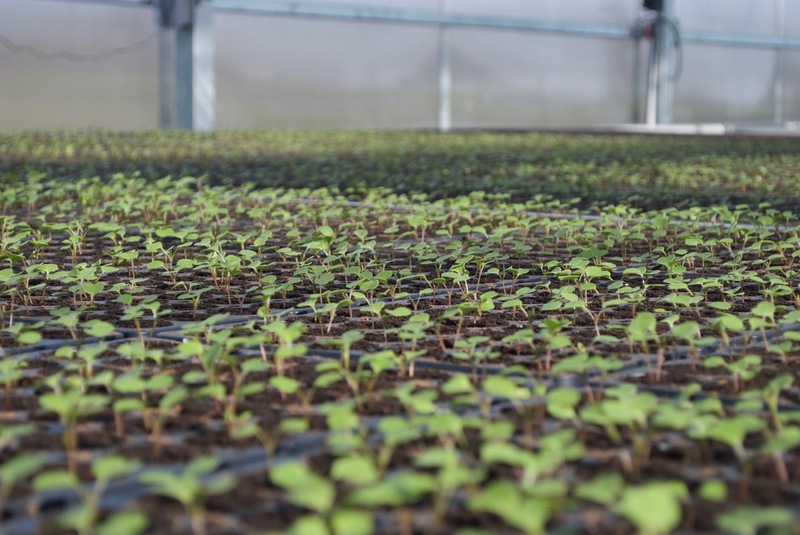 Microgreens are the baby versions of your favorite vegetables and greens, typically harvested only 2-3 weeks from planting. They pack quite a punch, both in flavor and nutrition (up to 40x more nutrients than their mature counterparts). There are dozens of varieties available and we can grow any of them at your request. It all starts in the clouds. We collect rainwater from the roof of our greenhouse and then blend it with a mix of nutrients which constantly nourishes our plants. After they've had their fill, any water that remains is collected and recycled back into our system for reuse. Water is this world's most precious resource, and we are doing our part to protect it. 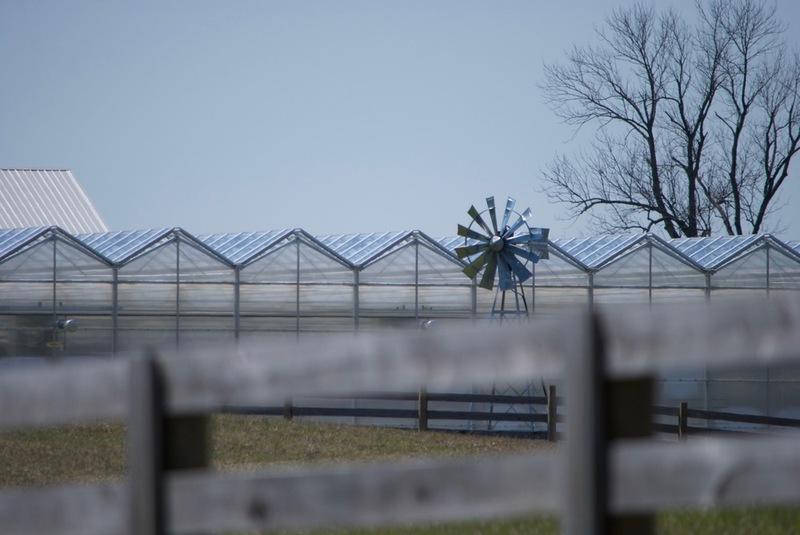 On average, our greenhouse uses four times less water than the average American household! These are the things that will really make your next dish pop. Arugula, Red-veined Sorrel, Dark Opal Basil.. You name it, we've got it. Want to wow your guests with something they've never tasted or seen before? Let us know and we'll get growing. Sunlight is king in the world of farming, and we get ours from the best and brightest source around... The Sun. More and more the world is seeing the creation of 'food factories', large food producing warehouses that rely totally on artificial light. 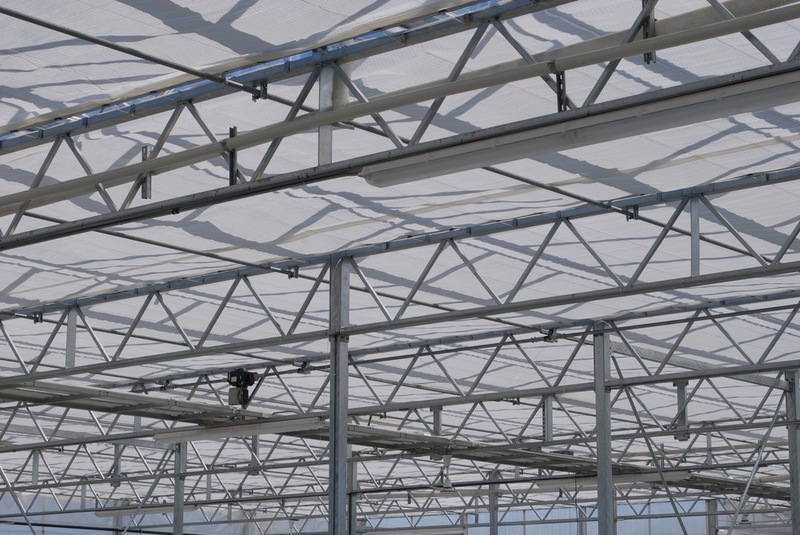 Our greenhouse is designed to provide our plants with copious amounts of fresh air and natural sunlight, two things that we believe creates a better tasting, more nutritious product. The bread and butter of the salad game. Adding loft and texture to your mix has never been so easy. We can provide multiple varieties of Green and Red Leaf, Oakleaf, Butterhead, Bibb, and Lollo. We even specialize in Salanova®, a new variety of head lettuce that, with one simple cut, separates into individual baby-sized leaves. Keeping the bugs at bay is no easy task. So we hired some friends to help us out... A couple hundred million friends to be exact. We rely on a technique called 'Integrated Pest Management' to control the levels of unwanted bugs in our greenhouse, which employs the use of beneficial bacteria, biological agents, and predator insects. We keep our plants healthy and bad-bug free the way nature intended! Old Soul's Farm is an equal opportunity provider of taste. As such we are currently working to get our delicious greens onto as many plates in Ohio as humanly possible, whether through farmers markets, restaurants, or your local grocery store. In order to preserve the taste and freshness that you'll come to know with our product, our aim is harvest to plate, same day. We specialize in grow-to-order, meaning you tell us what you want, and 14-50 days later (depending on the product) you'll have a continuous supply, for as long as you desire it. For pricing and more information on how to buy our product, please contact our sales team, or fill out the form below. © 2016, Old Soul's Farms, LLC.